Share the Road Cycling Coalition administers the Bicycle Friendly Communities program. Our goal is to advocate and encourage Brampton to become a “Bicycle Friendly Community”. This September 2013 report by the Ministry of Transportation lays out the strategy for the next 20 years and outlines what needs to be done to promote cycling across the province as a viable mode of transportation. Ontario is recognized as the best Canadian province for cycling and ranked among the top 10 jurisdictions worldwide for cycling. At least one Ontario city is ranked among the 10 most bike-friendly cities in the world. 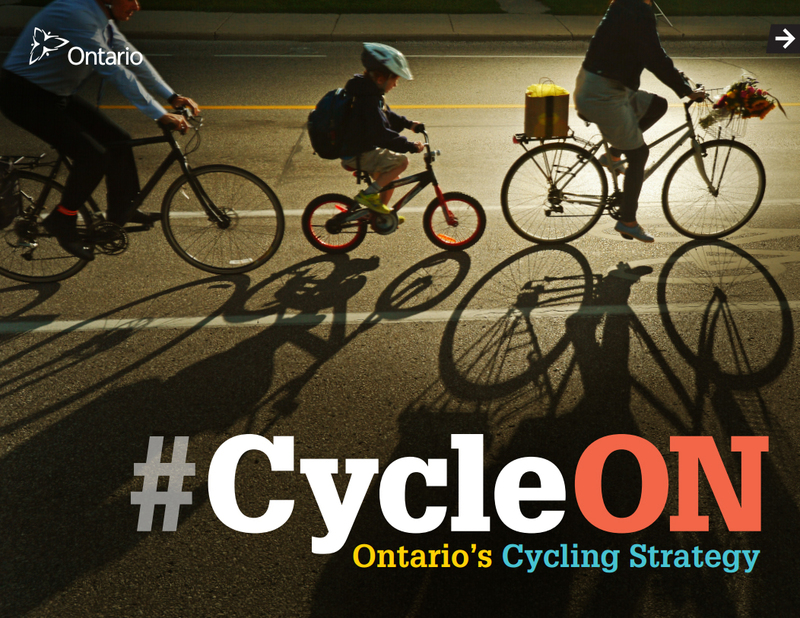 The built environment in most Ontario communities supports and promotes cycling for all trips under 5 km. Ontario’s cycling environment is safe for people of all ages, striving to achieve a record of zero fatalities and few serious injuries. Ontario’s cities and towns will have interconnected networks of safe cycling routes enabling people to cycle to work, school, home and key destinations. Ontario has an integrated province-wide network of cycling routes.